Looking to increase organic traffic to your site? Google Analytics is one of the best SEO measurement tools that give you insights into how to optimize your website for driving more search traffic. In this article, we’ll show you how to increase organic traffic with 10 Google Analytics SEO hacks. Do you want to track how many times your pages appear in Google search results? Do you also want to track the click-through rate and the average ranking of your pages in the search results? The easy way to find how your site performs in Google Search is to set up a Google Search Console account for your site. However, the reports you’ll find there are not as comprehensive as the reports in Google Analytics. You can integrate your Search Console account with Google Analytics to get more detailed insights about your search traffic. 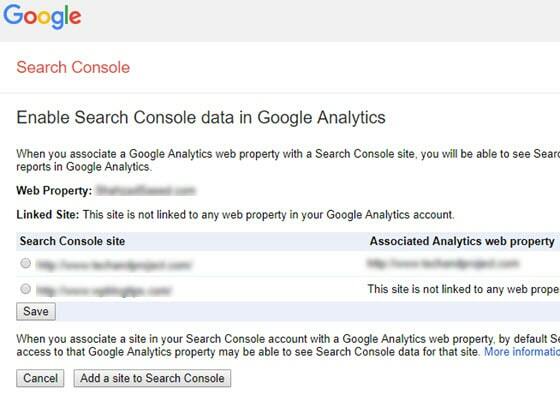 Just follow the below steps to connect your Google Analytics account with your Search Console account. 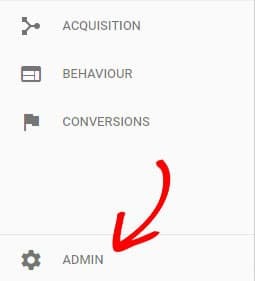 Sign into your Google Analytics account, and select the right website in your list that you want to connect with your Search Console account. Now click Adjust Search Console in the Search Console column. Select the Search Console site and click Save. And then click OK.
Now you can access your search console reports under the search console tab. 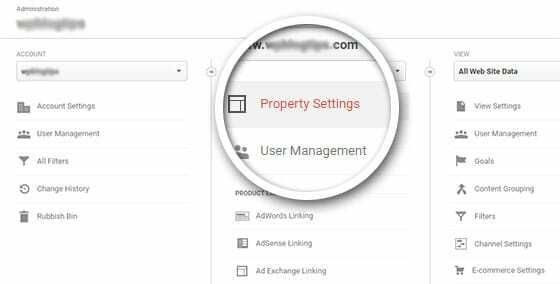 After the setup, you can determine what your organic visitors are looking for on your site by navigating to Acquisition » Search Console » Queries. How can you understand if your website drives the right traffic? By looking at keyword intent. Investigational, where users search for information that may eventually lead to transaction. 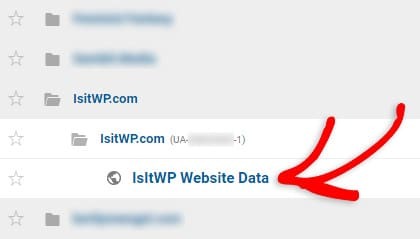 For example, if you’re a publisher who makes a living by making affiliate sales, you might want to rank your website for investigational keywords. If you’re selling a product, you might want to rank your landing pages for transactional keywords. In a nutshell, if you want to attract the right traffic and generate sales and revenue, you need to understand keyword intent and help your visitors achieve what they want. See OptinMonster’s guide on how to choose the right keywords for advice on discovering intent. Now you know the Queries report in Google Analytics is the best place to identify how well your website performs for certain keywords in Google Search. But, you’ll often find a large number of queries are grouped together as (other). According to Analytics, these are queries that are made infrequently or contain sensitive or personal information. While there is not a single foolproof solution to fully unveil (other) keywords data in Google Analytics, you can still understand where that traffic is going and whether you need to dig deeper with other techniques by creating a profile filter. Keep in mind that this filter can’t be applied to historical data; you’ll only see it in action for new visits. To create a filter, click Admin in the left taskbar. Click Filters in the View column. Create a filter by following the configuration selected in the screenshot. Here’s what this filter tells to Google Analytics. Apply this filter if a search term that matches (other). Within this filter, use the address of the page reached where (other) was the referring search term. While applying the filter, replace the ‘(other)’ search term with ot – followed by the landing page address. This method was described in detail in the Econsultancy blog. If you want to expand the reach of your product in Google Search, you need to identify almost every possible combination of keywords people use to search for your products. You can then optimize your website for those keywords to attract more organic visitors to your site. Google Keyword Planner is the best keyword research tool that helps you to get potential keyword ideas. To expand keyword ideas that you want to rank for, copy your existing keywords from your Queries report into Google Keyword Planner and find new keywords that are closely related to your existing ones. Don’t be afraid to filter out keywords that don’t meet a certain search volume threshold. This way, you can focus on a limited amount of keywords that matter to your business. Are you using the Yoast plugin for SEO? Then, you can track the focus keyword you set on your blog posts and pages with MonsterInsights. The Yoast SEO plugin requires you to choose a focus keyword on every page of your site, and then gives you suggestions to use it appropriately on that page. Focusing on the right keywords ensures that your site attracts the right visitors that are likely to be converted into leads and customers. By tracking the performance of focus keywords, you can identify whether they are attracting the right traffic that you intend to drive on each page. It can also give you insights into how to choose the right keyword and how to curate the content for that keyword. To be able to track the performance of focus keywords, you’ll need to enable custom dimensions on your site. In Google Analytics, custom dimensions are just like default dimensions such as gender, region, all pages, traffic sources, etc. except you create them yourself. 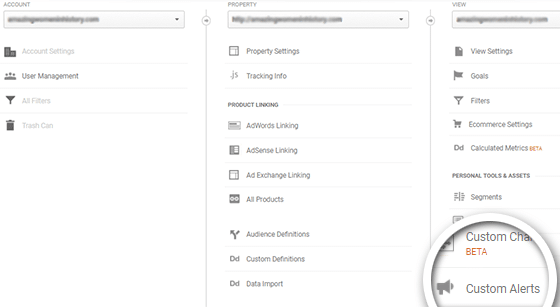 By enabling custom dimensions, you can collect and analyze data that matter to your website, like focus keywords tracking, which Analytics doesn’t track out of the box. For more details, learn everything you need to know about custom dimensions. If you’ve started getting some referral traffic to your site, you might want to monitor those links for further link building opportunities. For example, if you found that someone has linked to a particular blog post, you can reach out to the author and ask them whether they can provide a link to your product page as well. Alternatively, you can also ask whether they can feature your link in a weekly roundup post to get even more exposure. 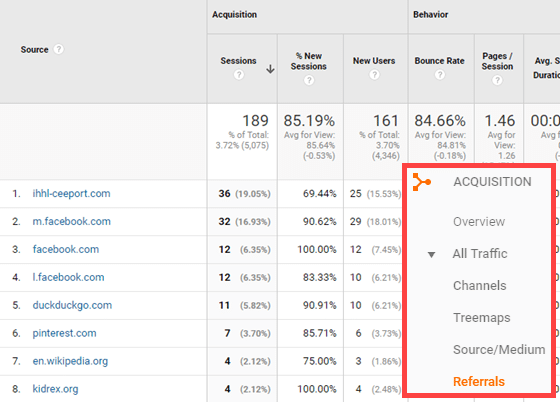 To find the referral traffic report, you can go to Acquisition » All Traffic » Referrals. You can also analyze your organic landing pages—the first page where your organic visitors land from a Google search result and check if it has any issue that keeps them from navigating to other pages. Analyzing your organic landing pages report give you a clear picture of how your visitors are engaging with your site and how they’re navigating through. Since engagement signals are now ranking factors, keeping an eye on the engagement metrics can help you boost your search rankings. For instance, if Google sends traffic to your page, which has a high bounce rate and low average time on page, it signals that the organic visitors didn’t get what they want from your site. To keep the search rankings intact for your page, you need to take measures to improve those metrics. The speed of your website is an important factor that can make or break your online business. Google has continued to emphasize page speed in their algorithms. The speed of your site can also affect how your visitors perceive your brand. Besides SEO, here are a few reasons how a low-speed website can sabotage your online business. The conversion rate can be reduced by 7% if a site is delayed for a second. 79% of web shoppers would never return to a website to if they found any trouble with the website performance. 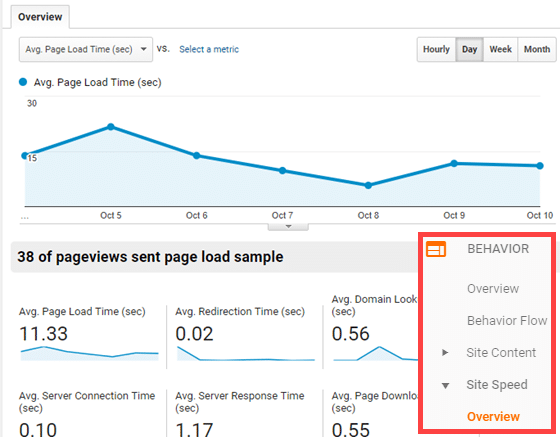 To get the site speed report, navigate to Behavior » Site Speed » Overview. The report tells you which page is taking more time to load and on which browser your site are performing the best and worst. As Google continues to refine their algorithms, it is highly likely that you’ll often find fluctuations in your search traffic. If your site got impacted by a recent algorithm update, it is always better to get notified before it’s too late so you can take specific measures as early as possible to reverse the action. 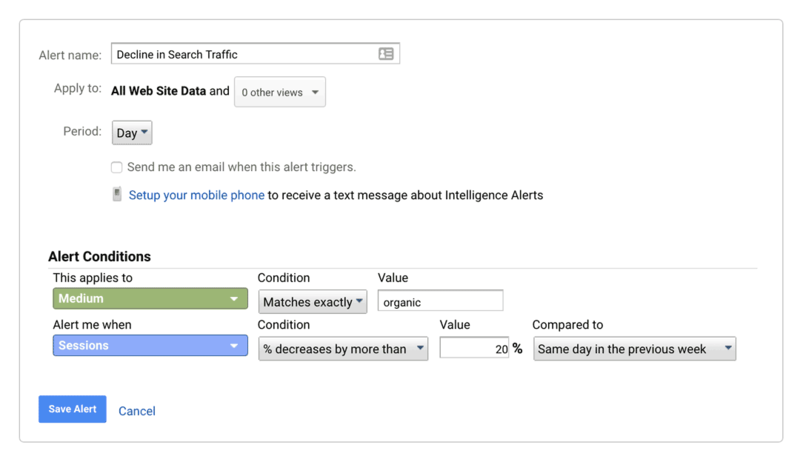 With Google Analytics, you can set up custom alerts that alert you to take action if there is a significant change in your Analytics report. For example, if you find that there is a significant decrease in search traffic, you can trigger an alert to take a look into it. To set up a custom alert, click Admin in the left taskbar. You can create a custom SEO dashboard that gives you a quick overview of SEO stats at a glance. If you used to spend a lot of time analyzing different SEO reports, using a custom dashboard can help you save your time. This way you can spend more time on implementing SEO hacks than analyzing your SEO stats. You can either create a new custom SEO dashboard or import an existing one and make necessary tweaks for your unique needs. If you’re after a pre-configured SEO dashboard, you can simply import an SEO dashboard here. 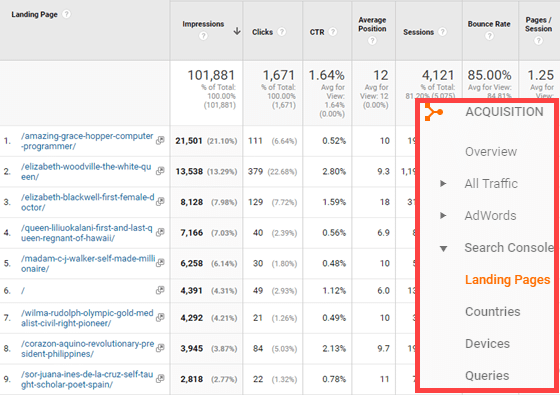 We hope this guide helped you learn 10 Google Analytics SEO hacks to boost your organic traffic. 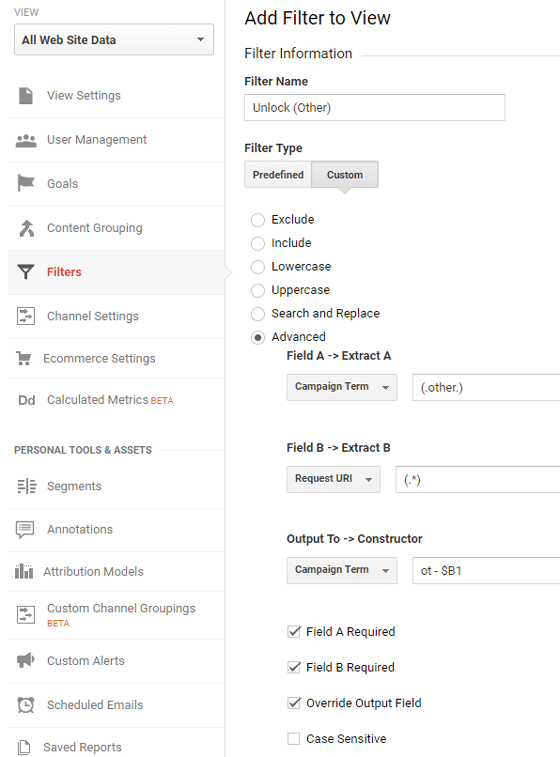 If you liked this article, you might want to check out our guide on setting up site search tracking in Google Analytics. And don’t forget to follow us on Twitter and Facebook for more Google Analytics tutorials. This is the most helpful post i have ever read on SEO, thank you very much.